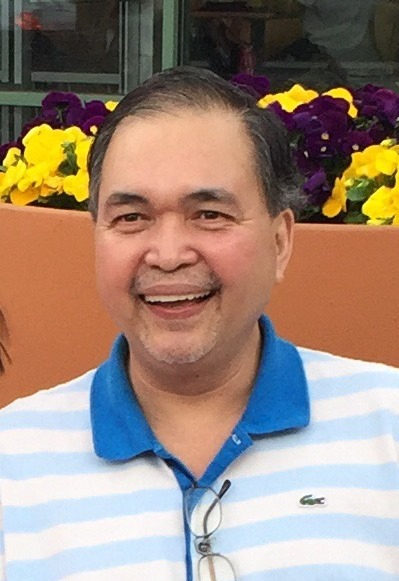 Carmelo Reyes was 61 years old when he died suddenly Thursday, February 7th. Born and raised in Manila, Philippines, Carmelo was a graduate of Lourdes High School and went on to receive a degree in Business Management from Aetneo University. He met and later married Rebecca Bahiya Rodriguez in 1981. In 1983 they came in the United States. Carmelo first went to work for Macy's on Fifth Avenue in New York City as a buyer. He would later open his own video store in Downtown Jersey City. He most recently worked in logistics for International Intimates before becoming sick. Carmelo was an avid Mets fan and loved to listen to classic rock. He was the son the late attorney Jose C. Reyes and the late Elvire Guidote. Carmelo is survived by his beloved wife Rebecca Bihiya Reyes, his loving children David Reyes, Edward Francis Reyes, Ariane Reyes, and Alexander Reyes. He is the cherished brother of JiJI Reyes, Grace Reyes, Gina Reyes, and Susie Reyes. Carmelo is predeceased by his siblings Tony Boy Reyes, Jose Reyes, and John Reyes. He is the adoring grandfather of Aria Milani. Family and friends are invited to attended visiting hours in the funeral home Thursday evening from 4pm-8pm. The following morning, Friday, everyone will meet at Church of the Ascension, New Milford at 9:30 where a Funeral Mass will be celebrated. A private cremation will follow.